Sindy came, she left, and then she came back. Now, in her second unanimous vote of the season, Sindy with an ‘S’ had her final eviction from Big Brother Canada. After being given second chance to re-enter the house, Sindy returned to the Big Brother Canada 3 house with a vengeance, flipping the house that sent Jordan, packing. Though the house has restored some order with another power player out the door, the houseguests are about to be blindsided with Big Brother Canada’s first-ever Triple Eviction next Wednesday, May 6 at 9pm ET/PT on Global (UK time is 5 hours ahead). Following a dramatic backdoor eviction, the houseguests competed in one of the most important Head of Household competitions of the season. In an unexpected turn of events, Pili giggled her way to the top, knocking out the houseguests one by one to become the new HOH. The campaigning kicked off immediately with a divided house selling their strategies and scheming for safety. As a first-time HOH, Pili played it safe, stuck with her alliance, and nominated the “Sleeping Giant”, Godfrey, alongside season three power player and house target, Sindy. At the POV competition, the houseguests played Big Brother Concentration, a game of memory that put their brain power to the test. Godfrey, the 22 year-old Psychology major, proved to the house that the “Sleeping Giant” had indeed been awoken, pulling out a win and taking himself off the block with the coveted Power of Veto. Pili named Brittnee as the replacement nominee and the house maintained Sindy as their target, sealing her fate and sending her home… again. Sindy quickly became one of the most threatening players this season and her game still isn’t over. Before joining her former showmance in the jury house, the remaining houseguests compete for the next HOH in “Ratetribution” – a guessing game in which Arisa asks Sindy a variety of questions that she must rate between 0 and 100. The houseguests must guess as close to Sindy’s answer as possible or they will be eliminated from the competition. Watch Sunday at 7pm ET/PT to see who wins the HOH competition, setting the roadmap for next week’s triple eviction. 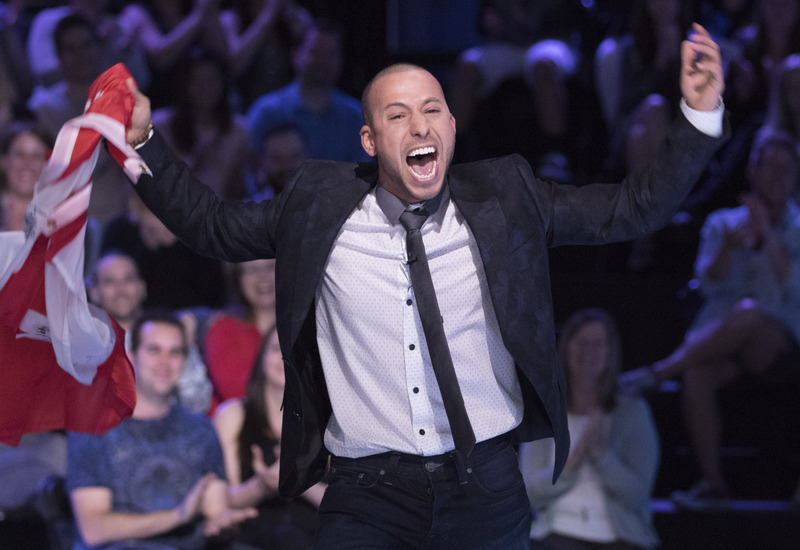 Watch the Big Brother Canada Side Show Thursday at 10pm ET on Slice with special guest Adel Elseri (BBCAN2). Big Brother Canada airs Mondays at 8pm ET/PT, Wednesdays at 9pm ET/PT and Sundays at 7pm ET/PT on Global (UK time +5 hours).